is not for the faint of heart. The text appointed for tomorrow is the Annunciation (Luke 1:26-38) where the Angel Gabriel shares the shocking news that not only is Mary pregnant but she will bear God's son. I doubt it was at this precise moment that Mary thought, "Perfect! 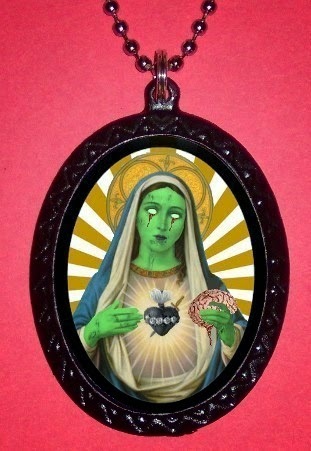 Now there will finally be a market for that Zombie Virgin Mary Necklace." But I thought I'd share a few of the "gems" I ran across. You know, to help everybody prepare spiritually for the last Sunday before Christmas Day. If you are easily offended, perhaps you should go watch cat videos on Youtube. Some of these are, well, pretty offensive. Yet with awesome all rolled into one. 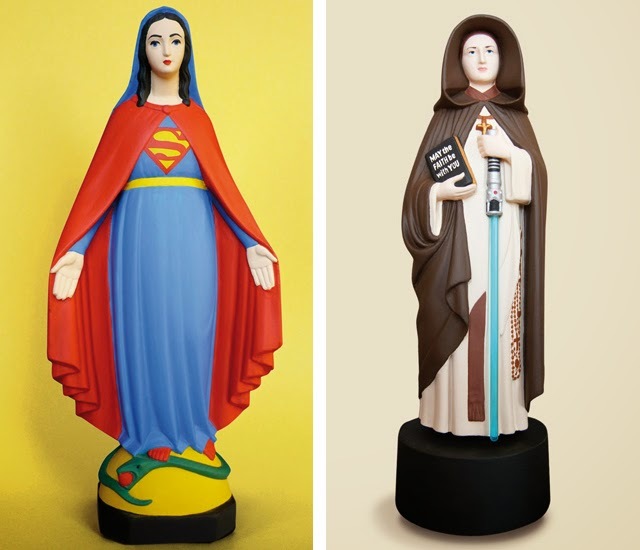 If simply being the the God-Bearer (or Theotokos in fancy theological language) isn't enough, perhaps Mary needs extra super powers or even The Force to more effectively carry out her calling. If you're worried about Mary having unsightly stretch marks, fear not. 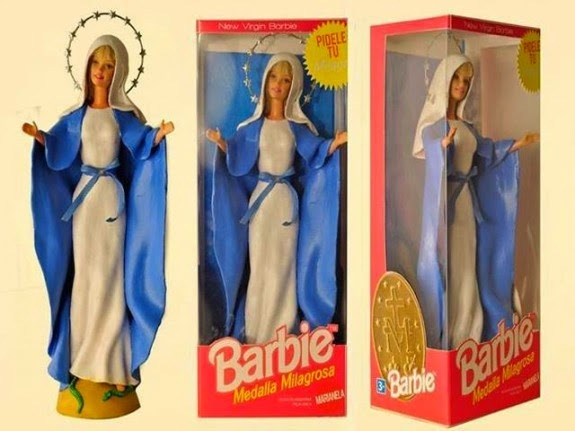 The Mary Barbie is perfect -- inwardly and outwardly. 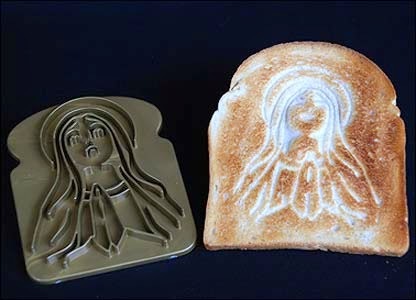 Holy Toast, Batman! Start your day off with miracle -- every day! ly Toast, Batman! Start your day off with miracle -- every day! 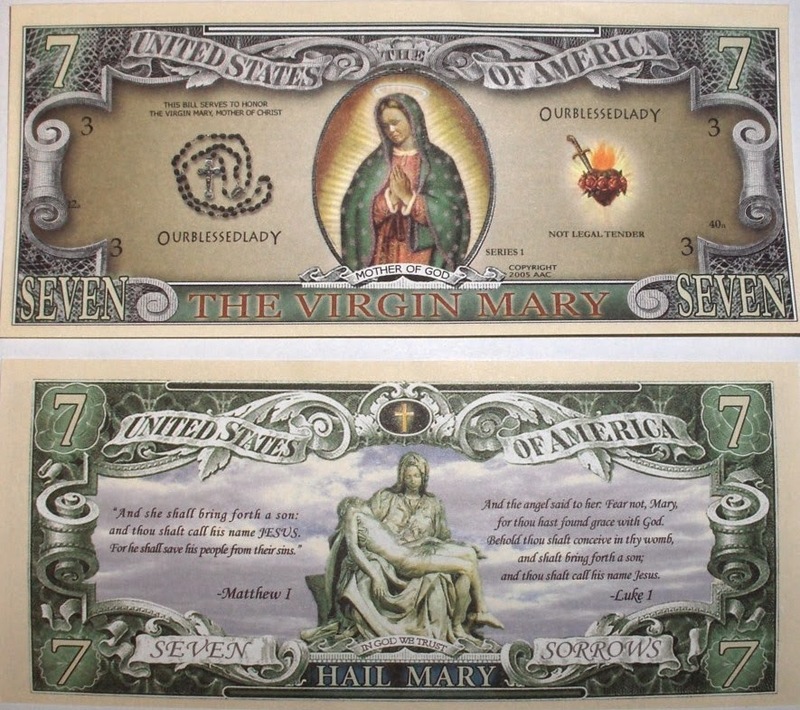 Try handing over the Virgin Mary $7 bill the next time you visit your local coffee shop. 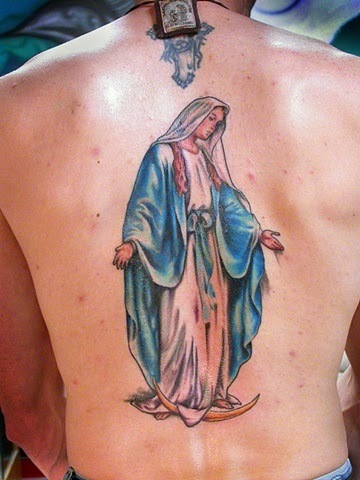 If you really love Mary why not show with this festive back tattoo? It's a little awkward taking your shirt off in church but it will add a bit more drama to exchanging the Peace. Show your Mary pride at the ballpark. Or the your neighbor's backyard barbecue. Interested in keeping your daughter a perpetual virgin? Here's the perfect outfit for school. This needs no comment since there really are no words. Lots of awesome! 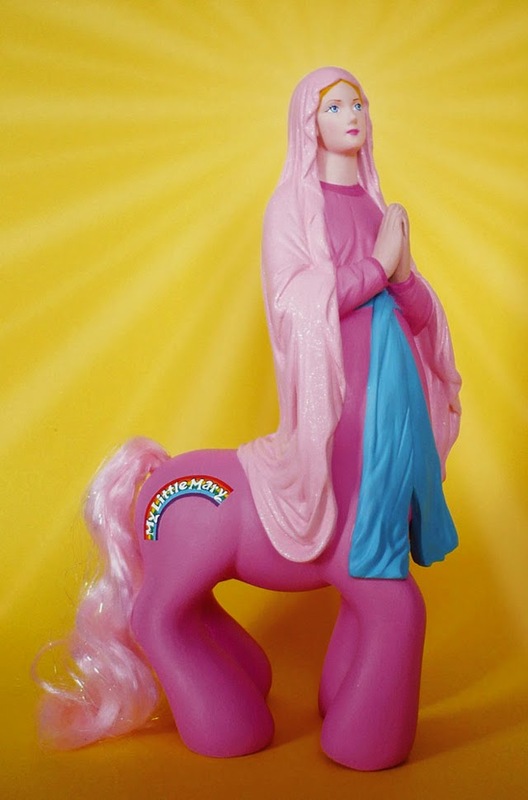 Who could possibly be offended by this wealth of kitsch? ?